Every year we get guests who arrive at Sandlake Country Inn on foot! They have been walking the Oregon Coast Trail. We all know how beautiful the Oregon coast is, but these dedicated walkers experience it inch by inch and mile by mile. On the 382 mile Oregon Coast Trail, hikers experience sandy beaches, forested corridors and magnificent headlands. When walking the trail in Tillamook county, the Pacific Coast Trail leads you directly to Sandlake Country Inn. From Cape Lookout, the trail heads down to the beach just south of Cape Lookout. On that beach on December 25, 1890, the wooden full rigger clipper ship, The Struan ship wrecked with it's cargo of 3 x 12 bridge timbers, which became the building material for the homestead built by W.C. King, and is now the historical landmark building of Sandlake Country Inn. The trail then takes you to the mouth of Sand Lake Estuary which is only passable at low tide and if you don't want to traverse the cold water to cross over to Whalen Island, you would then exit the park area onto Galloway Rd. 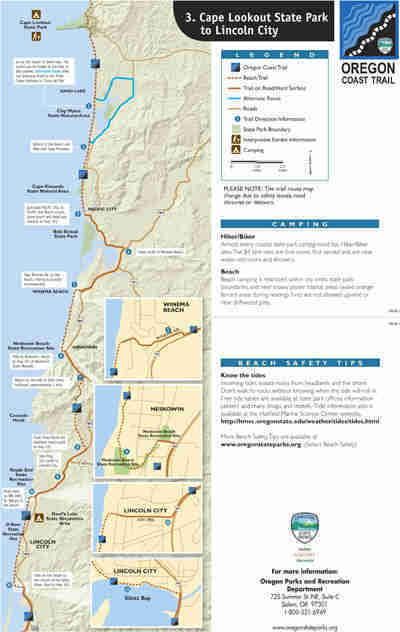 In about 1 mile you'll be able to take lodging and dinner at Sandlake Country Inn. You can rest your aching muscles with a warm bubble bath in a whirlpool tub in one of our rooms or suites. Don't worry about having to find a restaurant, because we also are able to deliver a delicious hot dinner to your room at an additional charge. 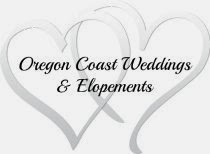 In the morning, you'll receive a large 4 course breakfast delivered to your door so you can continue along the Oregon Coast Trail refreshed and ready for another day of spectacular beauty on your way south to Lincoln City. If hiking the Oregon Coast Trail is on your bucket list, what are you waiting for! Make sure you make your reservation with us when you're planning your trip so we'll be sure to have room for you. Traci, are you a relative of W. C. King? Yes .. WC was my great great Grandfather. My Great Grandmother was Zoe E king whom married Ira C Smith. My Grand father is their son Ira E Smith. That's great Traci! If you live within driving distance to our B&B, you might want to come to our gathering on Thursday, July 26, 2016. We're hosting a get together for the North Coast Land Conservancy that afternoon from 2-4pm and you can stop by and see the old place! The North Coast Land Conservancy has purchased the 167 acres that surrounds all 3 sides of our house and the area will be protected for future generations.